This is a total vanity post just cos i feel like it! 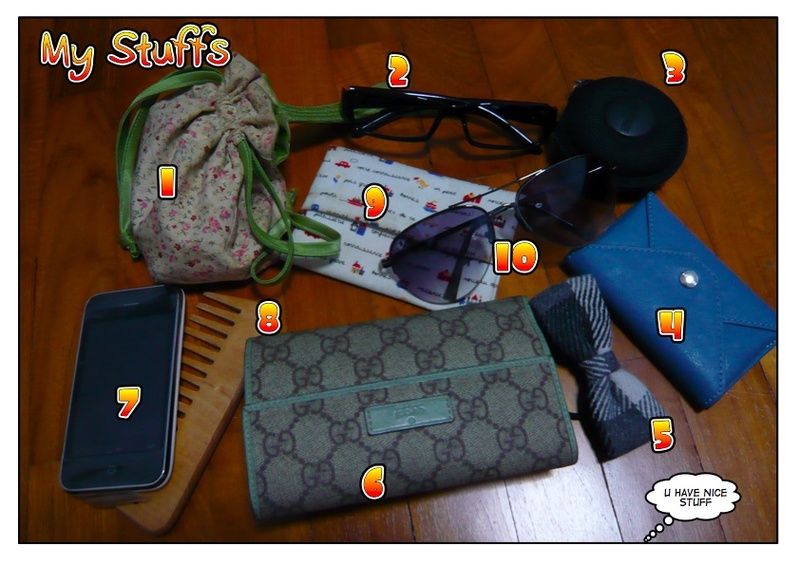 HAHAZ…and it’s called stuffs in my handbag =) also known as my stuffs that i can’t live without. 1. Dirty Ol’ Pouch – Bought in Patpong in Bangkok around 4 years back. I love it cos it’s so soft and smelly and useful. Usually houses my iPhone charger, office keys and an extra piece of SD card for my camera. 2. Geeky Glass-less Glasses – Bought from China for 2 bucks, last CNY when i was there. Never left my side since. hahaz. I like the way it changes my look and also how it irritates the hell out of my colleagues (marcial!) who can’t resist the temptation of poking thru my glasses. hahaha. eat your heart out! 3. Shure In-Ear Monitors – Cost me a bomb but how can a techie-music snob-audiophile be on-the-go without a pair of good in-ear monitors? I even have the airplane in-flight jack so that i do not need to use the lousy-headache inducing contraption-disguised-as-headphones they provide in the airplane. As if the change in air pressure is not enough. 4. Mango “Blue Envelope” Card Holder – To keep all those plastics that did not make it into the honor roll of my wallet (don’t worry, i know you are just as important). 5. Ribbon Scrungy – On extremely hot days (happens quite often) you will see the importance of this tiny little thing. 6. Gucci Wallet – Need i say more? 9. Eiffel Tower Tissue Pouch – from Taiwan. 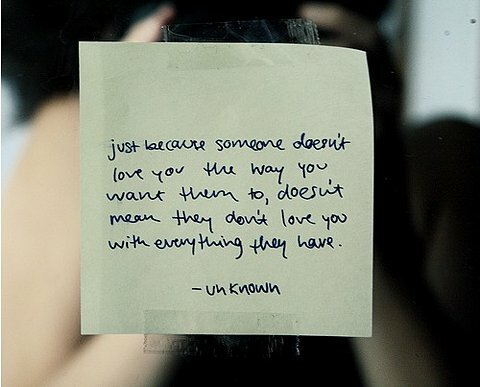 It’s troublesome but it’s cute. 10. Aviator Shades – saves me from squinting on sunny days and i think it makes me look cool. bleah!